Life is filled with so many uncertainties--the weather, the stock market, the economy, just to name a few. The only two things that are still certain are death and taxes. Kind of depressing, huh? Well, we’ve added a more pleasant certainty--the Reebok Men's Brown ... (see full details) (see specifications) #RBKRB4444. Life is filled with so many uncertainties--the weather, the stock market, the economy, just to name a few. The only two things that are still certain are death and taxes. Kind of depressing, huh? Well, we’ve added a more pleasant certainty--the Reebok Men's Brown RB4444 Tiahawk EH Waterproof Hiking Boots. This footwear is certain to keep your feet comfortable, dry and safe since they are packed full with great features! Now that’s some welcoming certainty. Manufactured with sturdy leather uppers these shoes aren’t only waterproof, they’re early retirement proof. The sturdy construction and materials are made to last a long time so you won’t have to retire them early. Your toes will remain safely tucked away beneath the composite toe cap in these safety toe boots. A composite toe cap is lightweight and will not conduct heat or electricity. For your safety, they meet or exceed ASTM F2413-05 standard for protective footwear. 100% non-metallic boots are great for traveling, that is exactly what you get with this workwear. Plus, their non-metallic design means they are much lighter than traditional steel toe boots. These premium shoes have even been rated for electrical hazard safety. So, add yourself another layer of protection when you throw these boots on your feet. Speaking of safety, the rubber traction bottoms are slip-resistant to help grip the ground you’re walking on. This footwear also incorporates a special lug design on the sole to provide improved traction even on grassy outdoor surfaces. They’re also oil-resistant, chemical-resistant and abrasion-resistant to guard against wear. They work with external shank stabilizers to deliver improved control and stability on the move. You can relax a little when it’s raining out or if you work around water because they are waterproof boots. We’re not suggesting you step in puddles on purpose, but you don’t have to tiptoe around them to avoid getting your feet wet. In addition to the water-resistant leather uppers, the Tailex and StarGuard waterproof membrane on the inside acts as a barrier to wick moisture away from your feet, while preventing outside moisture from getting in. Your feet will appreciate the comfort features these this hiking footwear provides. The removable EVA cushion inserts with sponge rubber heel wedges give your feet some premium support throughout your work day. The dual-density EVA cushion midsole cradles your feet in pillow-like cushioning and there’s even a heel airbag to protect this sensitive area of your foot. Life is filled with way too many negative uncertainties. Surround yourself with positive certainties. Start with a pair of Reebok Brown RB4444 Tiahawk EH Waterproof Non Metallic Men's Boots. They’re certain to keep your feet comfortable, safe and dry. These boots have it all, waterproof, comfortable, stylish....the works. But, I don't know if it is just my pair of how the shoes are built but they seem to run a little bit big. I would recommend that if you buy these Reebok boots you get them about a half size smaller. Like I said it could have just been the pair I got, this was my first pair of Reebok boots. Great boots, very comfortable to wear. These boots were comfortable right out of the box. They have good support and they aren't too clunky and heavy. The laces stayed tied throughout the day. They kept my feet dry while walking through wet grass. The main thing that made me buy these boots were the style.The fact that they are inexpensive, lightweight, and comfortable is a bonus. I would buy them again. 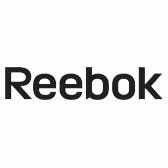 Reebok Boots: Men's Brown RB4444 Tiahawk EH Waterproof Hiking Boots is being added to your cart.